my life. The one that has been marked for so many events. This is me and each color represented a place where I had lived, each of them left a lesson to learn. 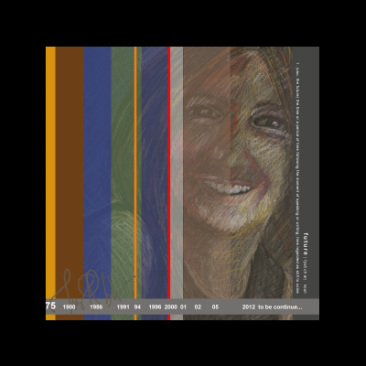 This piece want to depict those important dates of change, they have been contributed to make me what I am. Little by little, year after year. Today, I can define my life as colorful. The Future; we never know but I still have space for whatever it brings.